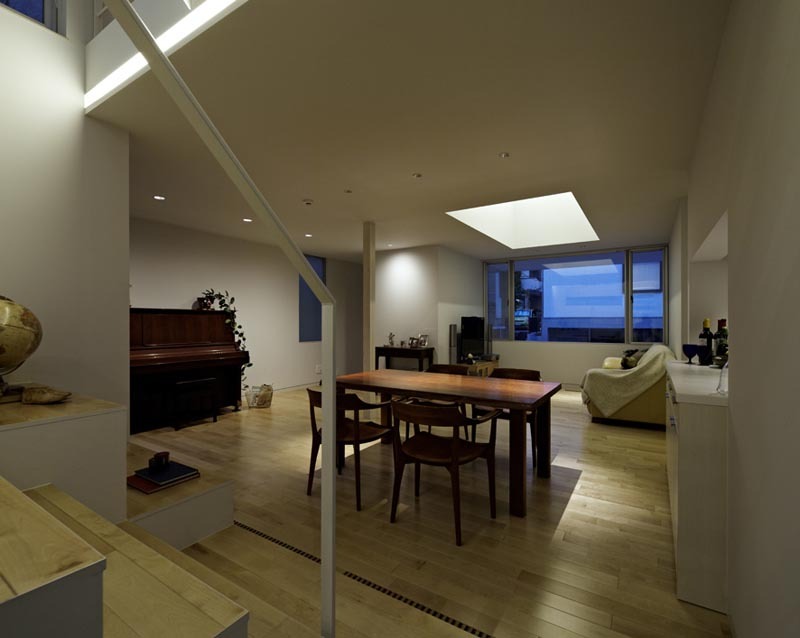 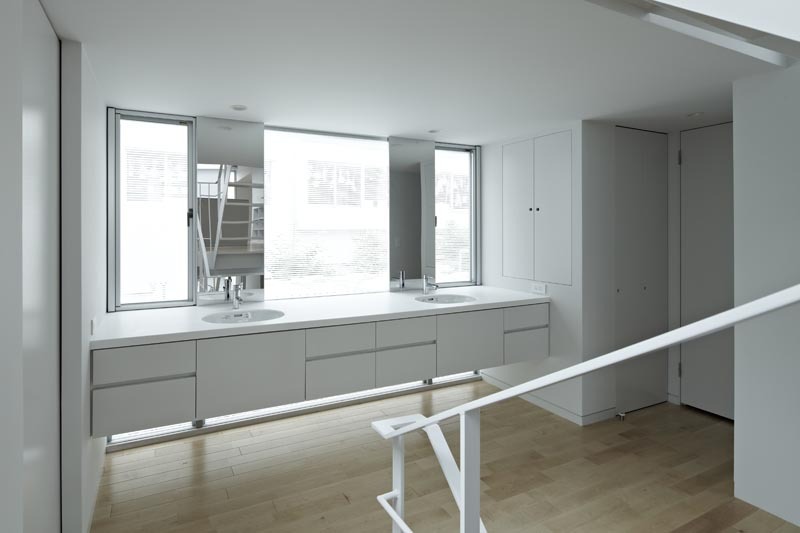 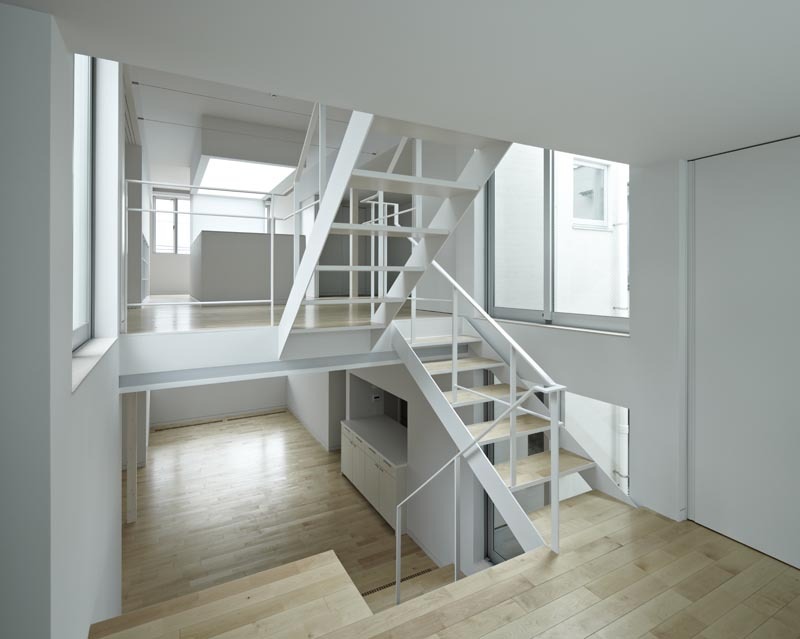 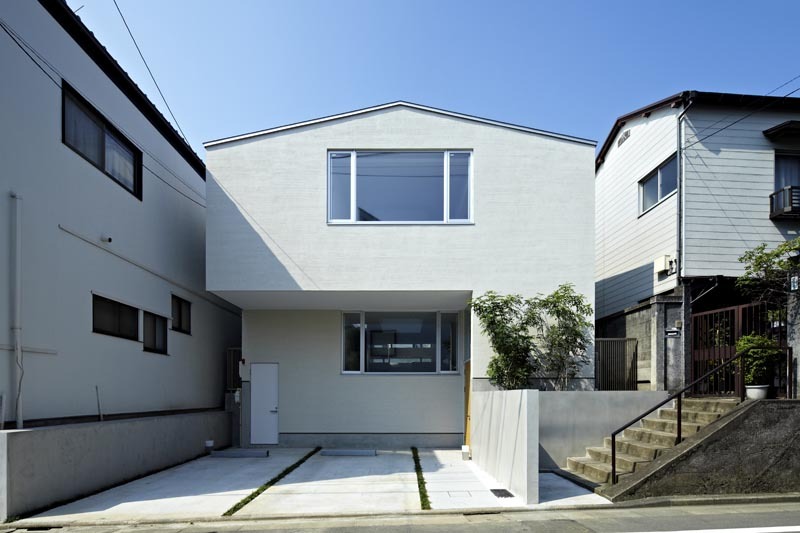 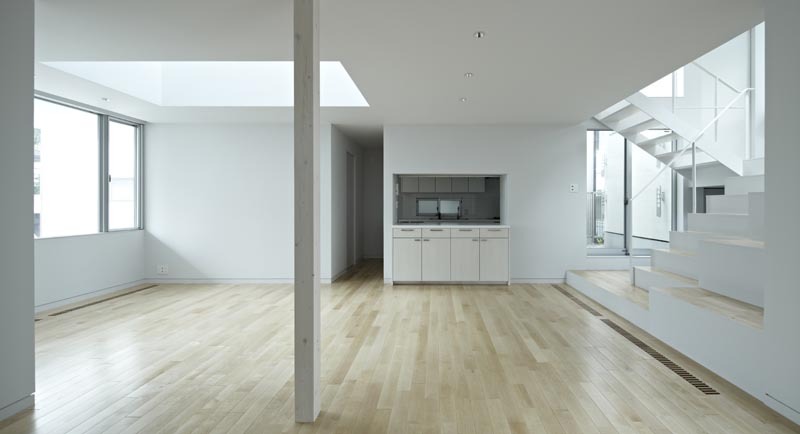 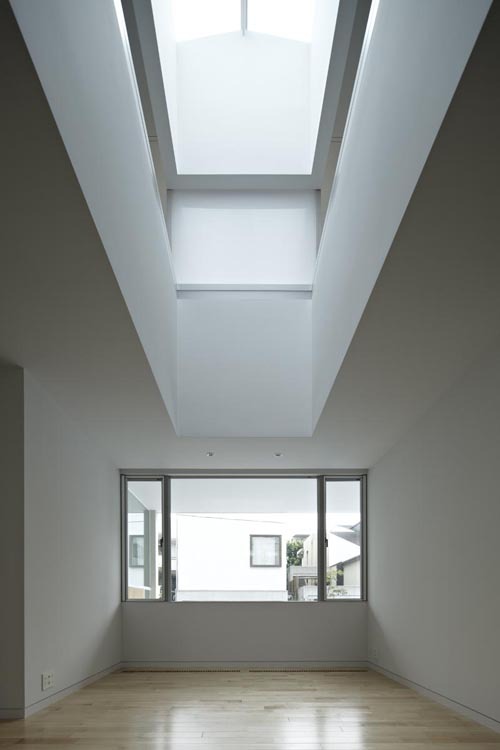 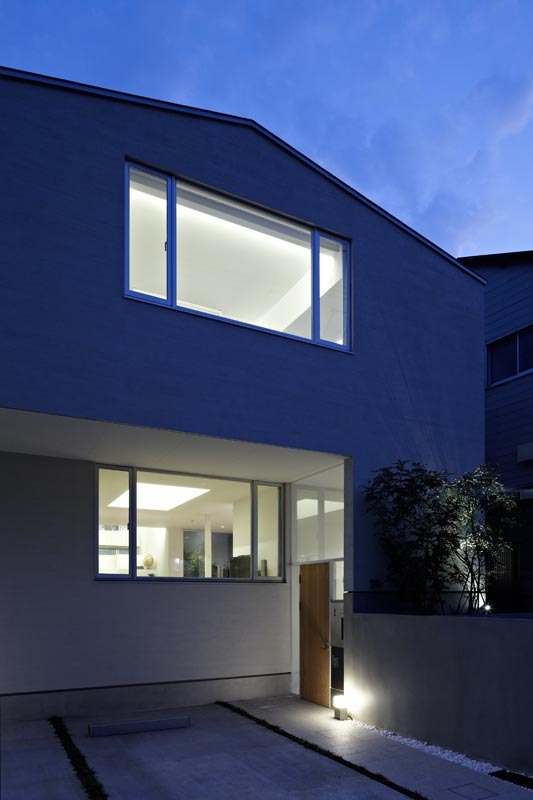 It is a house for a couple with three children built in a quiet residential area in Tokyo. 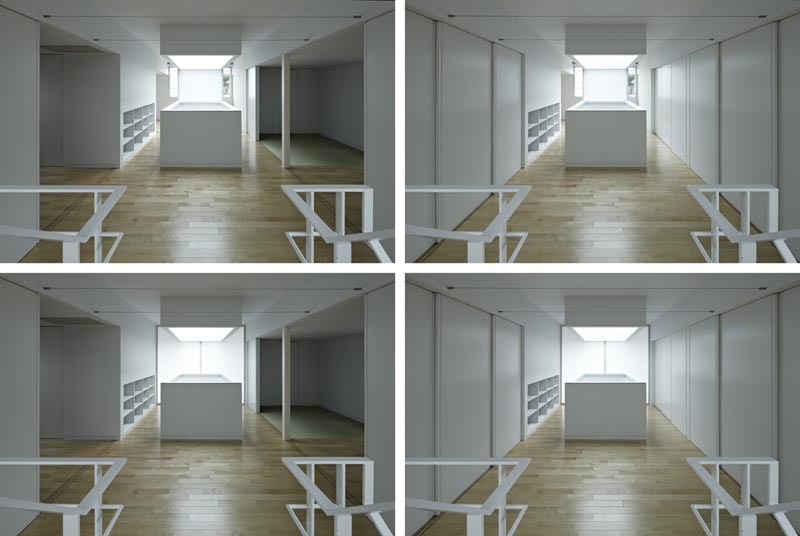 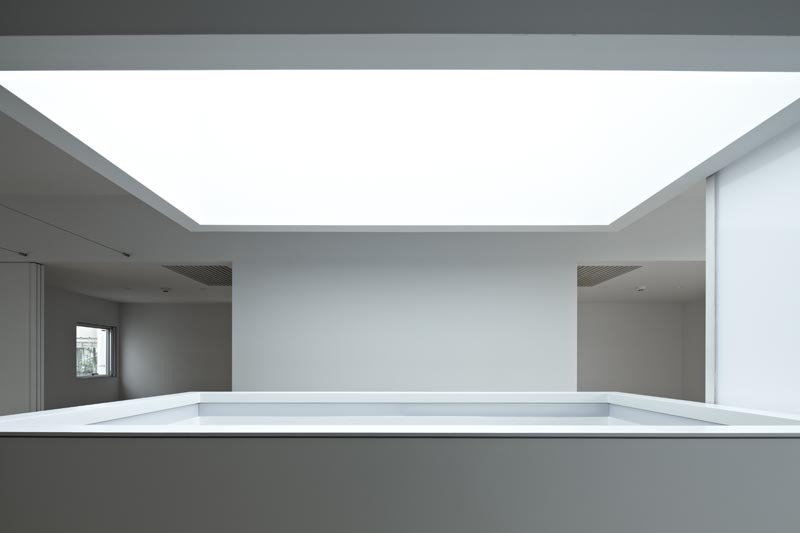 Rather than creating a strong enclosed boundary, the house opens up to surrounding that boundary of public/private gets blurred and brought into the house. 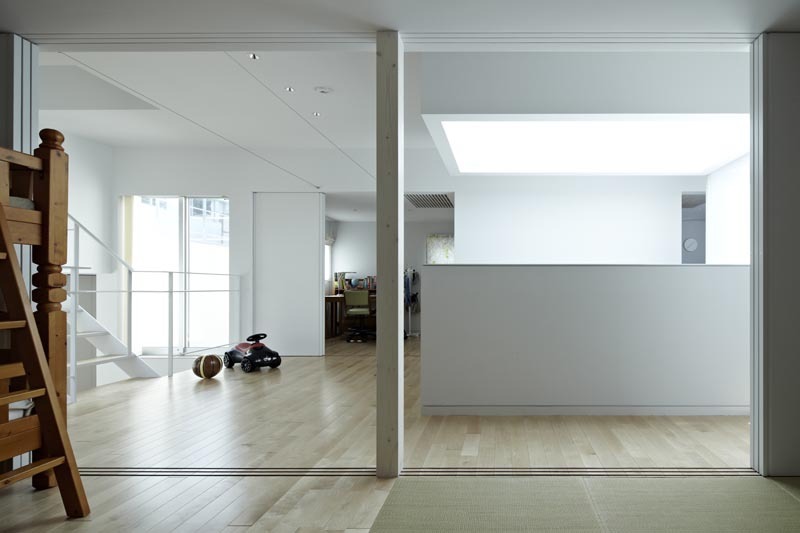 Open space in center of the house runs through from the steet in front to the school at the back with several floor levels. 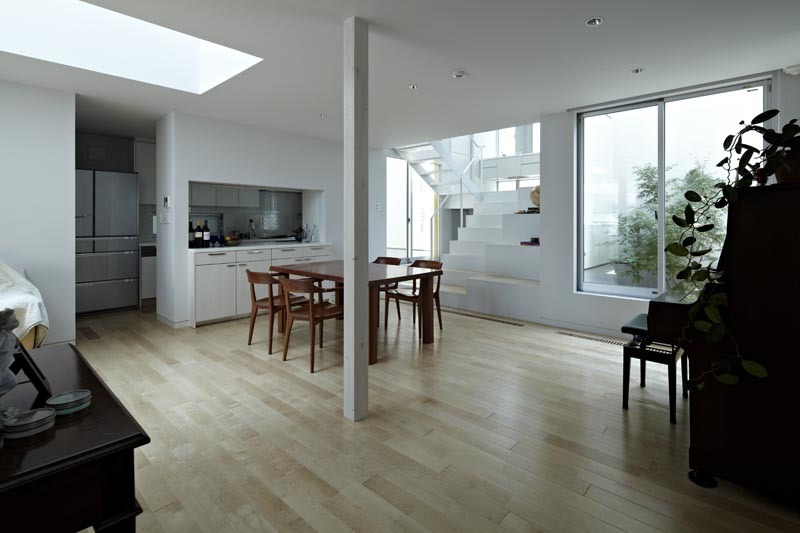 Fuctional space supporting activity of the family are aligned along this open space.